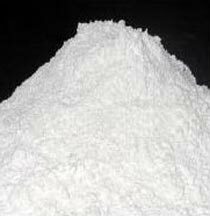 We are a reliable Supplier of Barium Sulphate Precipitated in Mumbai, Maharashtra. Our Sulphate Precipitated is processed using the latest technology to ensure high quality. Our powder is free from any kind of impurities. Sulphate Precipitated that we offer is widely used in making paints, printing inks, plastic, rubber and many other products. We provide Barium Sulphate Precipitated in both small and bulk quantities at reasonable price.